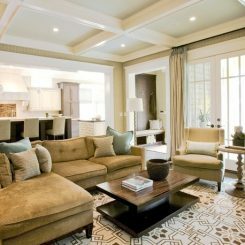 In my years as a home stager and design consultant, my goal has been that every project I undertake results in a happy client. But if I’m really honest, there’s also the secret hope that I can get the *perfect* finished photo! 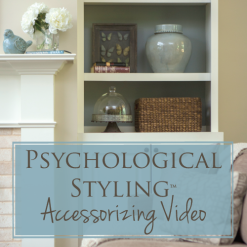 Staging or decorating a room is one thing, but photo styling is quite another. When I can, I love to sit down and peruse a stack of design magazines or retail furniture catalogs. While I’m doing this to take a break from work, I find myself focusing on analyzing the photo styling that makes the photographs most appealing. 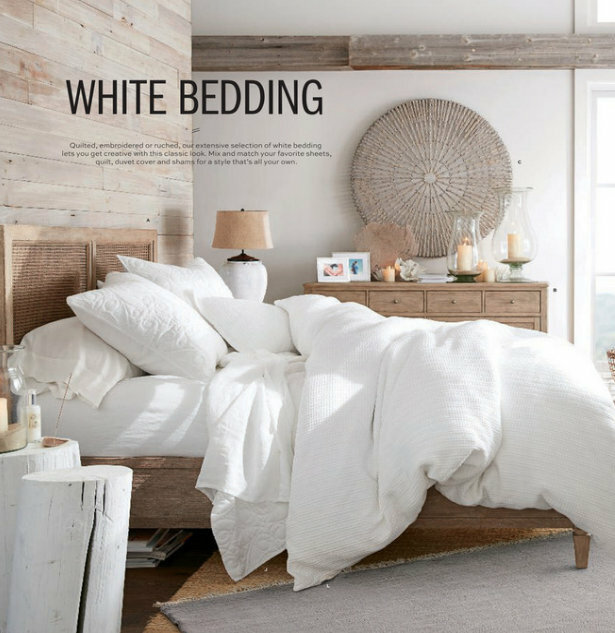 Yesterday, I hunkered down with the latest Pottery Barn Bed & Bath catalog. Their photo stylists must be freakin’ geniuses. 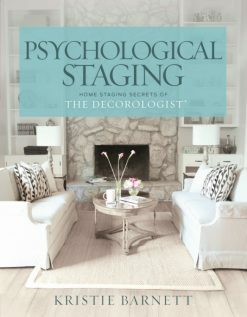 What I’ve learned is that staging or designing a room is VERY DIFFERENT from photo styling. You see, what looks good in the room may look not-so-good in a photo. Things have to be shifted to fit within the frame of the photo, color has to be evenly distributed, etc. 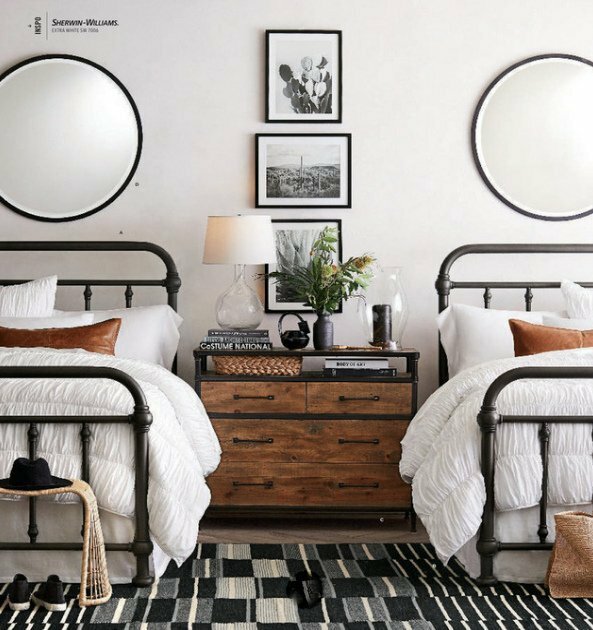 A poorly executed photo can make the room look duller than it does in person, or it can make one thing stick out like a sore thumb. Often it’s difficult to tell which will happen until you actually take the shot. 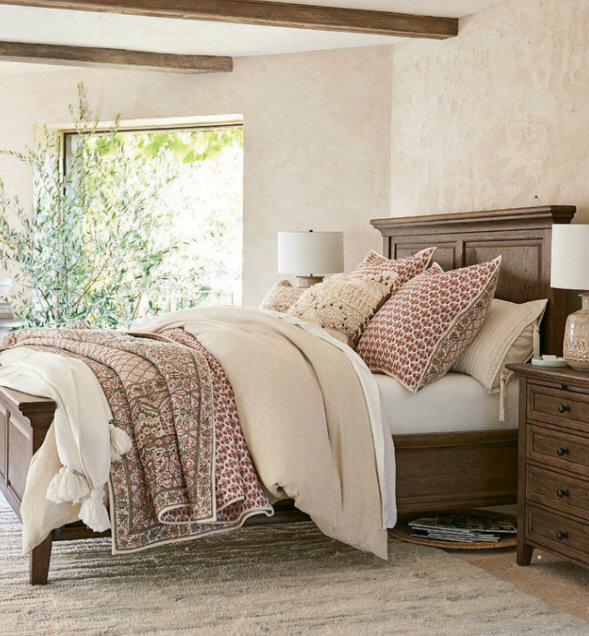 So let’s see if we can analyze what makes Pottery Barn‘s photo styling so awesome. 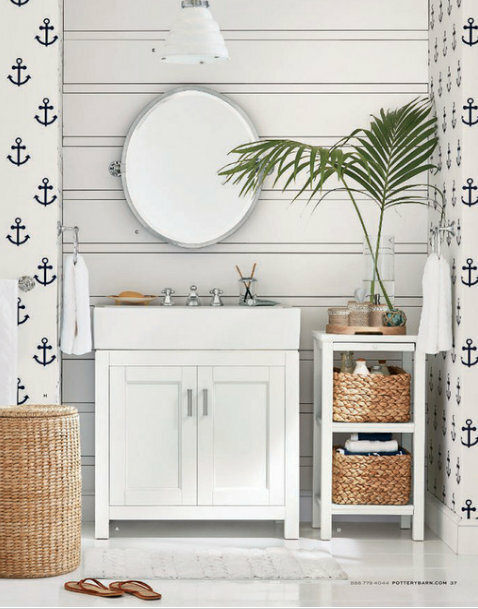 All of the photos in this post are from Pottery Barn. There’s always a lot of symmetry, which I find so important for interior photography. That doesn’t mean EVERYTHING is symmetrical, though. The base is usually symmetrical, then some asymmetrical stuff is very artfully added in after that. There’s some thing or things to draw your eye down, and perhaps to make it feel more casual? It’s usually something that contrasts the floor, so that it stands out enough to pull your eye down. I’ve read before that it’s good to create a C-shape in a photo, so that your eye lingers longer and is drawn throughout the entire photo. 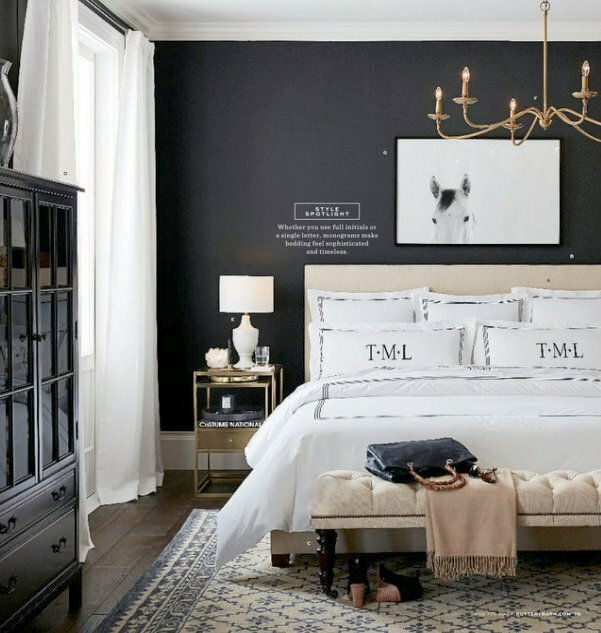 You can see how the placement of black objects kinda forms a C in the photo above (from black frames to wall sconces, to vases, to bag on the floor). But that certainly isn’t the case in most of the photos, so it’s not as formulaic as that. 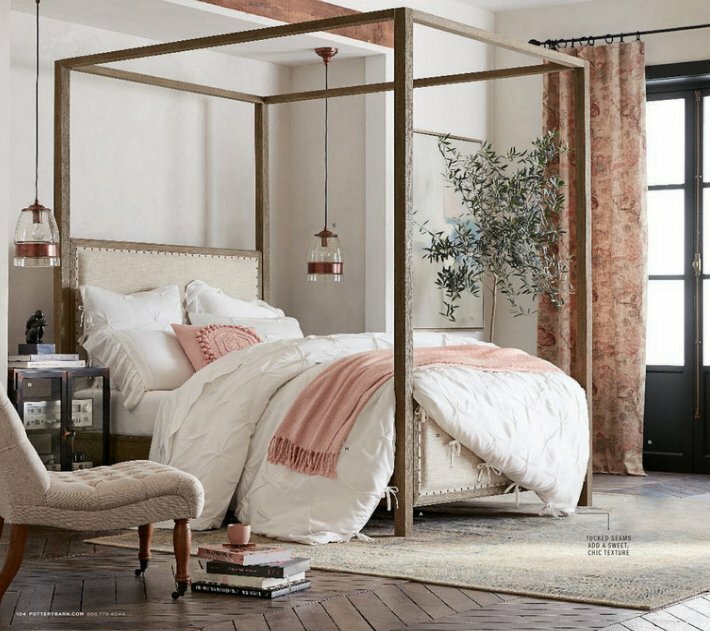 It’s certainly a thing to have a blanket draping down to connect with the floor. 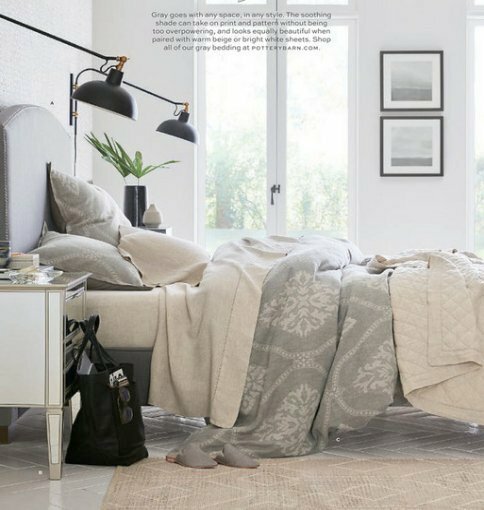 Did you notice that you can see a stack of magazines beneath the bed in the photo above? Actually, that’s the case in many of their photos. And shoes. There’s often a pair of carefully placed shoes in their photo styling. 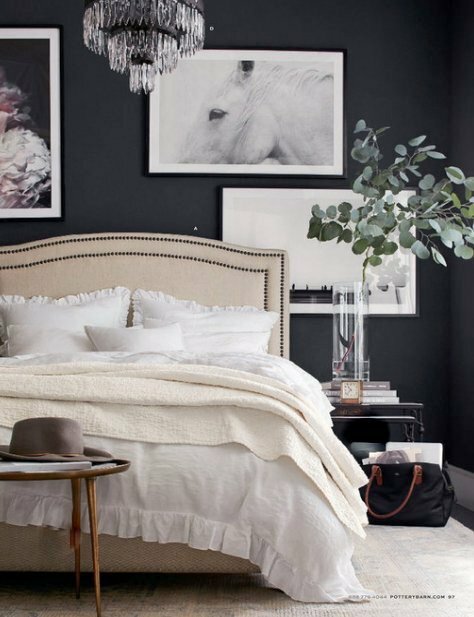 Also to notice in the next photo is how they pepper black across the photo – the art frame, the coffee cup, bed pillow, throw, heels of sneakers, and finally the black tote. shoes AND magazines beneath the bed! 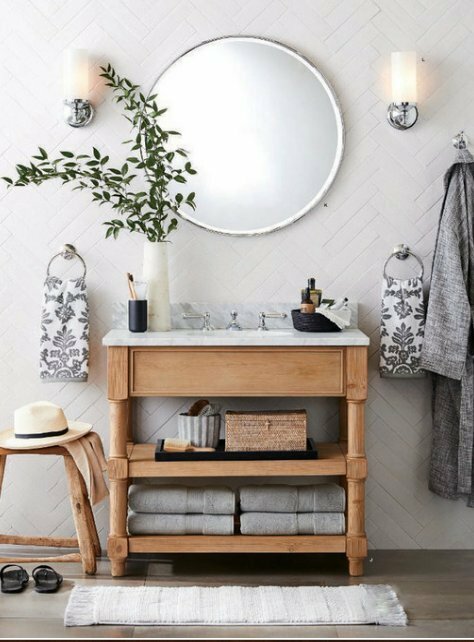 Hats also tend to be a popular photo styling prop for Pottery Barn. I actually try to incorporate a hat into my own photography when my client has one, but really, how often do we see hats lying around anymore? I wonder what it is about hats used in this way? Does it symbolize adventure or connote social status? This one has a hat, throw blanket, and yet another black bag. Are you also noticing that most the photos include a green plant? 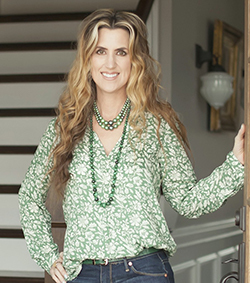 In most interior design spreads, florals are used to draw the eye and add color, but Pottery Barn is only using certain kinds of greens. 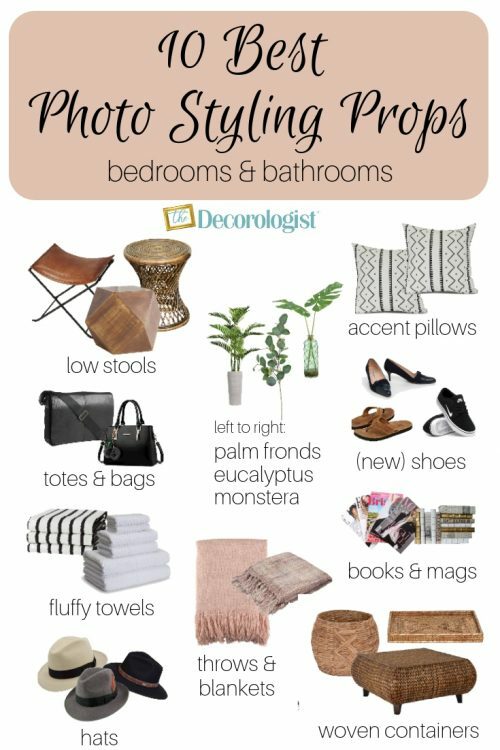 Looks like eucalyptus, monstera leaves, and palm fronds are now trending (sorry, fiddle fig leaf and succulents)! 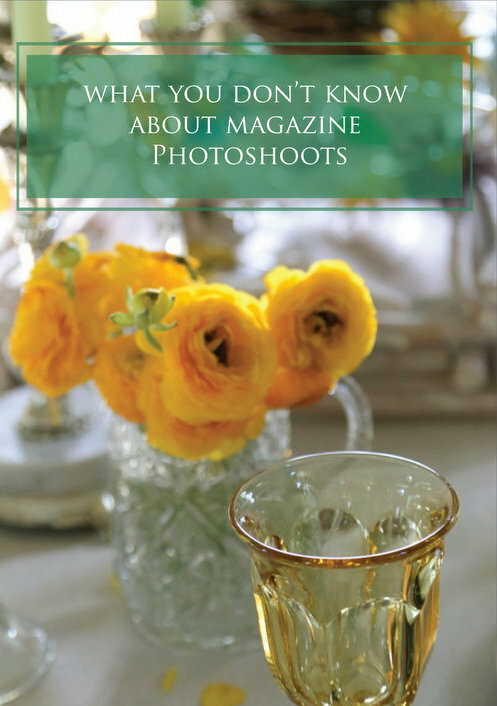 You’re probably noticing all the photo styling props now, right? A couple I haven’t mentioned yet include a variety of low stools and woven baskets and containers. So what can we take a way from this exercise in visual analysis? That was kinda fun, right? I think I’ll write a follow-up about the best photo styling props for kitchens and dining rooms. And I’ll include my FAVORITE that I’ve been using lately, too! 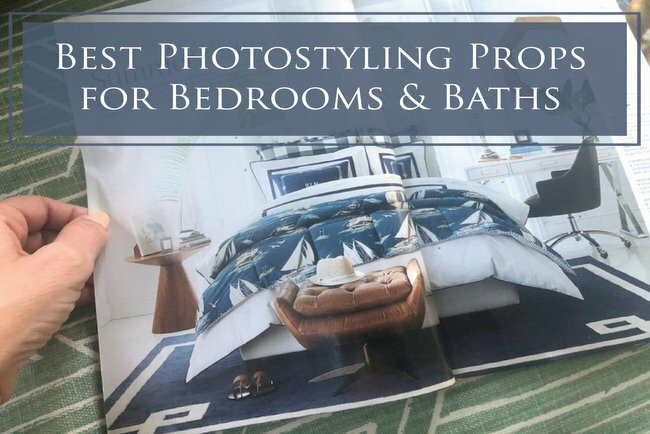 Do you have anything to add to my round-up of props for bedrooms and baths? 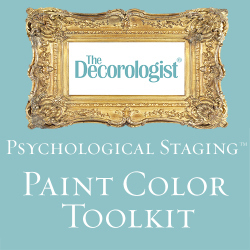 Our June Expert Psychological Stager™ course is now half full. 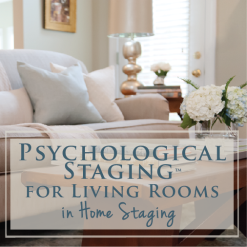 We’ve been running an Early Bird Special discount that was supposed to end today – BUT, I’ve decided to extend the special until Friday, April 19 in case you’ve been considering taking our RESA® accredited home staging course! Sign up at the discounted price while we still have seats – find out more by clicking here. 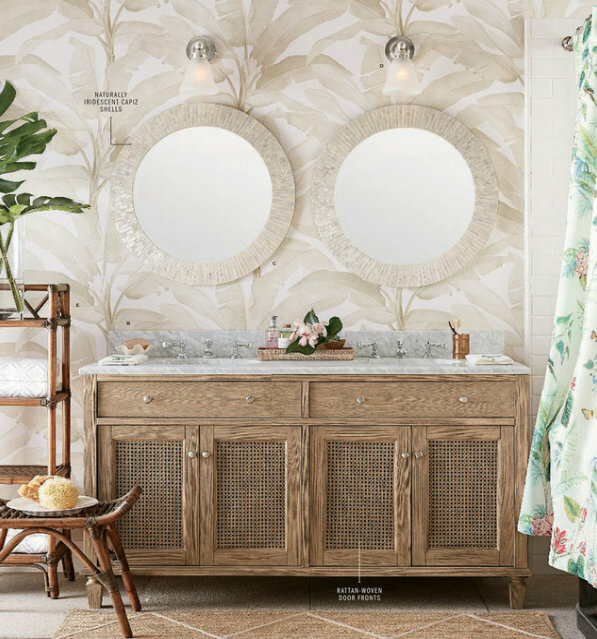 This entry was posted in My Decorology, Psychological Staging and tagged bath design, baths, bedroom design, bedrooms, photography, photostyle, photostyling, photostyling props, styling props. What I love about your posts is your discernible eye, and how you call attention to things that most never notice. And that’s what makes the difference. 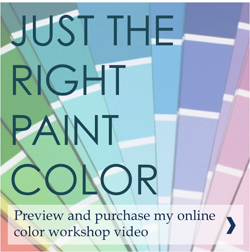 Thanks for sharing such great info- and I’m definitely pinning that awesome graphic! Love your blog! Very interesting. Just a thought. 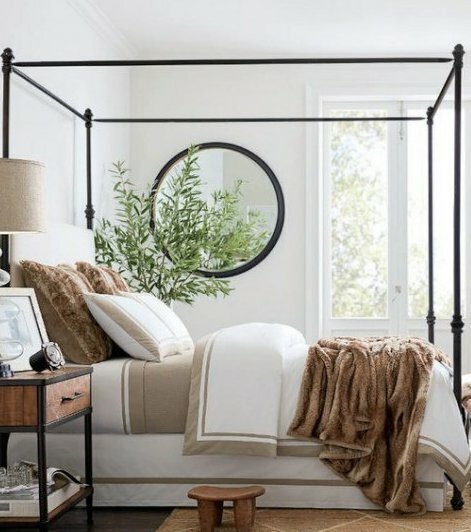 Maybe those messy beds actually don’t look that good in real, but they photograph well . 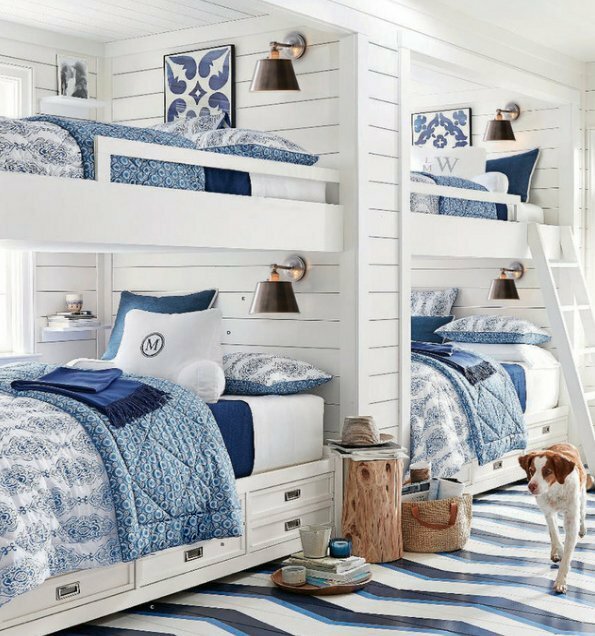 I too have tried to do that with my own bed and it looks terrible in real. I like your comments on hats and totes. 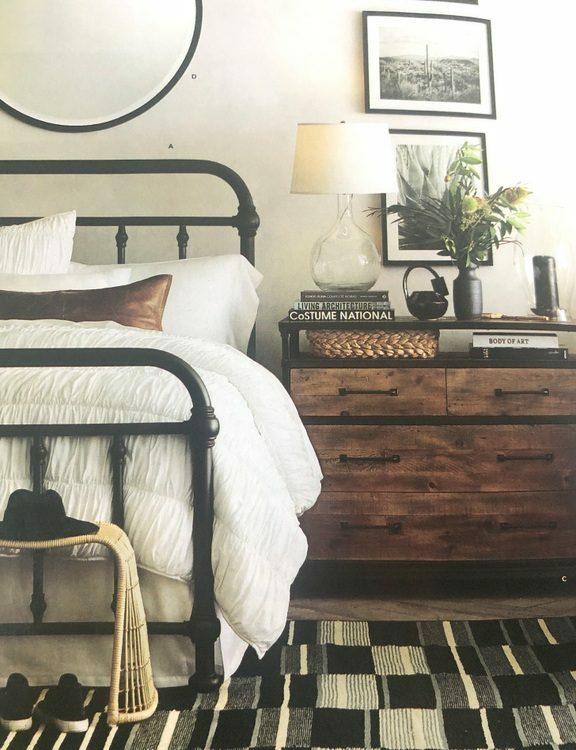 The photos with these items in PB and West Elm and other catalogs make me feel like there is an interesting story behind the picture. Surely the person is going somewhere interesting or just returned from an awesome trip? Buy this stuff and you’ll be living the life! 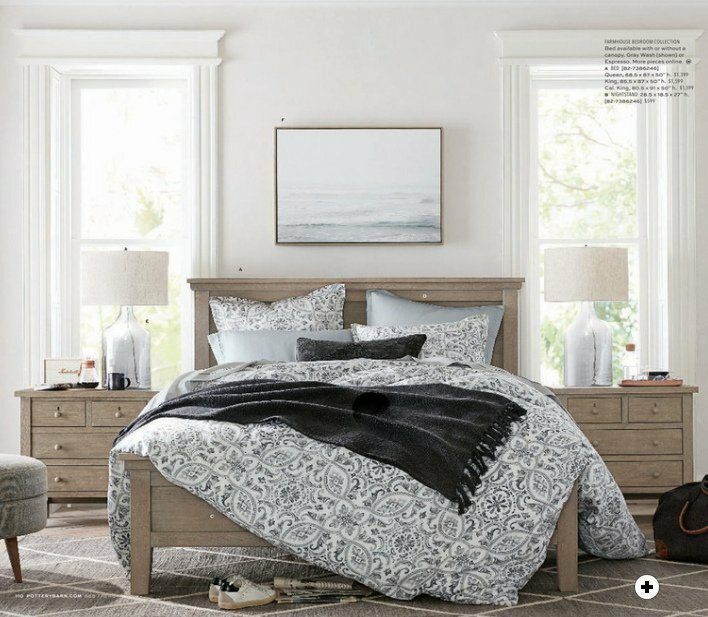 Certainly makes some nice bedtime catalog viewing. Definitely marketing a lifestyle, right? 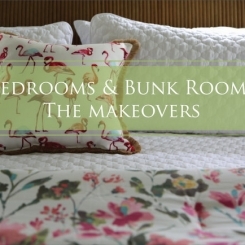 That’s what we strive to do in home staging – live here and you’ll be living the life! Thank you for that insight! Such a wonderful post! Yours always are but I loved this because I’ve been working on more stylized photos and this was so helpful and interesting! 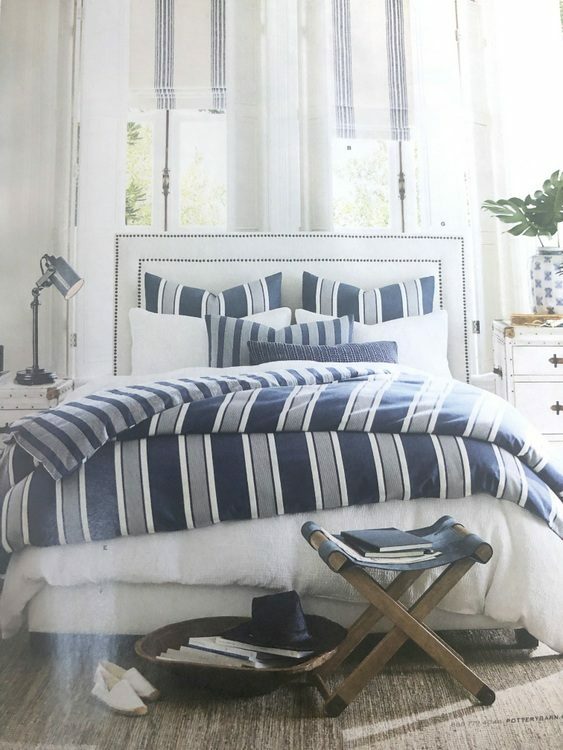 I love getting the Pottery Barn catalogs but never noticed the hats or shoes. Now I’ll never miss them again. This is a great post, Kristie. All of the things you discuss above I take for granted and don’t really pay that much attention to. Thank you for bringing it to light. 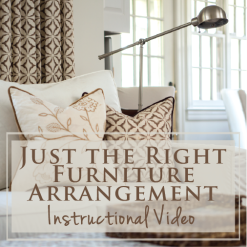 I can’t wait to read the follow-up post on kitchens and dining rooms!